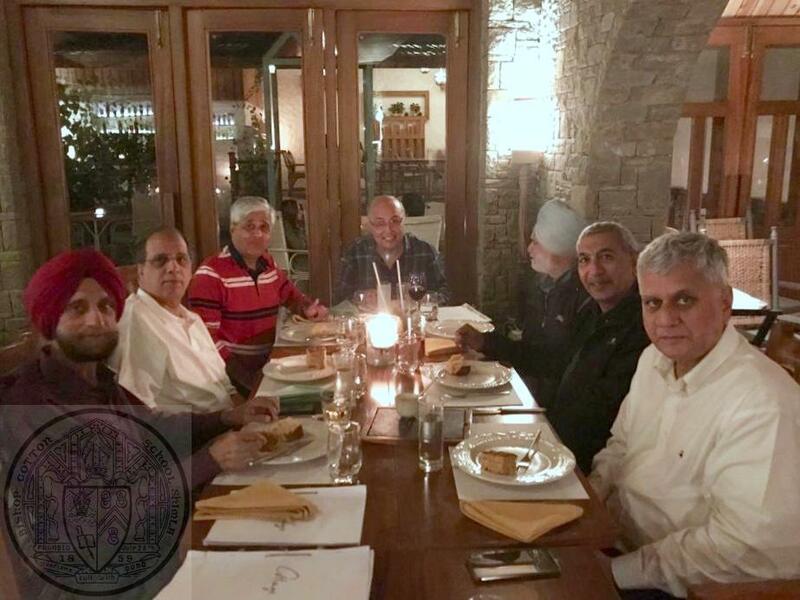 An informal get-together of the Batch of 1969 at Chandigarh on Friday 26th and Saturday 27th October 2018, gearing up for their Golden Jubilee celebrations in 2019! 26 OCT: Left to right: Jasbir Sadana, Rajat Mukarji, DM Sud, Praveen Sachdeva, Harry Saron, Anil Advani [guest], Rakesh Sood. 27 Oct lunch. Left to right: Rajat Mukarji, Anil Advani [guest], DM Sud, Robin Nakai, Praveen Sachdeva, Jasbir Sadana. 27 OCT: Left to right. Praveen Sachdeva, Himmet Kahlon, PS Gill [invitee], DM Sud, Ravibir Grewal [guest, ex CGC President], Birender Gill [President of CGC], Neenu Chahal [from YPS, guest], Jasbir Sadana, Rajat Mukarji, Harry Saron, Anil Advani [invitee], Brig. HS Nagra [invitee]. This entry was posted in Events, News, Post and tagged 1969 Batch, 2018, Chandigarh, Get together on October 30, 2018 by admin.